very important tutorial back up on that site without it being rejected, I started playing around with different flower ideas and then happened upon this star. I normally don't do appliques and I'm not familiar with the masses of them out there so I'm not sure if there's already one out there with 6 points that is worked right from the magic circle itself. 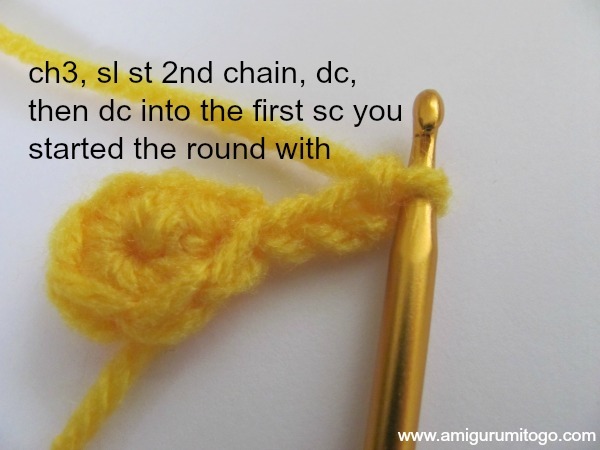 2) sc into the first st of the round then chain 3, sl st the 2nd ch from the hook, dc next ch then dc into the st you started this round with. Now repeat this sequence for next 5st. Finish off the last petal or star arm with a sl st into the first st you started with. Weave all the yarn tail ends in. 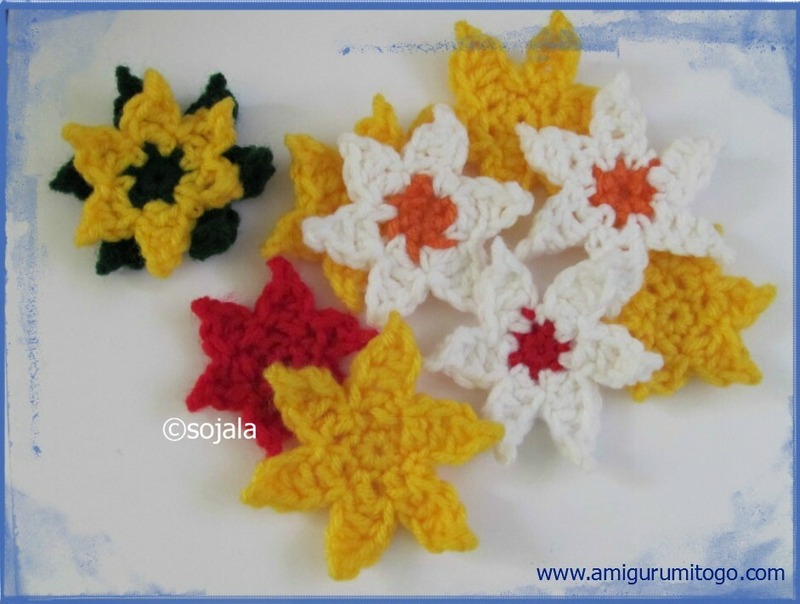 You can do a bunch of different things with these.. try a button in the middle, or layer a smaller one on top of a larger one, add a stem and you have a flower! Try out different colors and have fun! 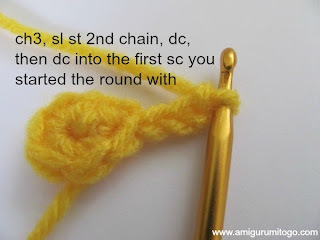 2) go into the first st of the round and pull your yarn through just like you do to start a single crochet, leave those 2 loops on your hook and pull color B through those 2 loops, now chain 3. 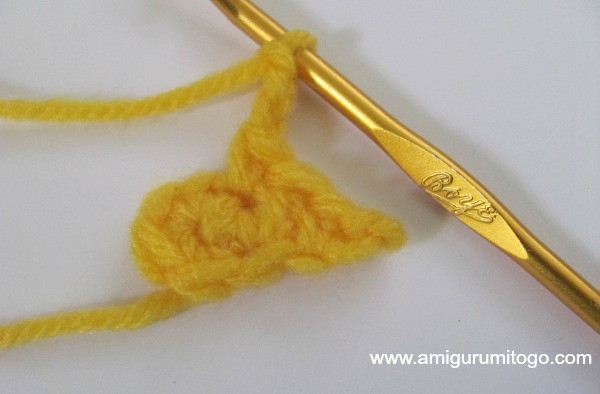 Follow all the steps as stated above.. this first petal base will feel a bit loose so just keep the yarn tails held tight until you are done with this first petal. Once you are done with all 6 petals then knot off those color changes and then weave your ends in. I hate blogger. I never able to post. Takes 3 tries! Just wanted to say thank you for this lovely pattern! I've been wanting to learn how to make a star for a while and this made it so easy! (I added two more points to make the star symbol for Captain Marvel, one of my favorite superheroes :) ) Thanks again!